Ophthalmology Lawrenceville - Mercer Eye Associates provides ophthalmology services to Lawrenceville, Hopewell, Hamilton and the surrounding areas. Eye Care Lawrenceville - Mercer Eye Associates provides the highest level of eye care services to Lawrenceville, Hopewell, Hamilton and the surrounding areas. Ophthalmologists Lawrenceville - Dr. Steven P. Ellis MD, Robert Chiang MD, and Dr. Elad Feldman MD are ophthalmologists at Mercer Eye Associates, serving Lawrenceville, Hopewell, Hamilton and the surrounding areas. Glaucoma Treatment Lawrenceville - Mercer Eye Associates provides information regarding glaucoma treatment and diabetic retinopathy. Serving Lawrenceville, Hopewell, Hamilton and the surrounding areas. 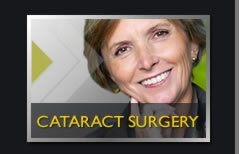 Cataract Surgery Lawrenceville - Mercer Eye Associates performs minimally invasive, small-incision, no-stitch cataract surgery and lens replacement surgery. Serving Lawrenceville, Hopewell, Hamilton and the surrounding areas. Glaucoma Treatment Lawrenceville - Glaucoma treatment procedures are available at Mercer Eye Associates, serving Lawrenceville, Hopewell, Hamilton and the surrounding areas. Corneal Transplantation Lawrenceville - Corneal Transplantation procedures are performed at Mercer Eye Associates, serving Lawrenceville, Hopewell, Hamilton and the surrounding areas. LASIK Lawrenceville - Mercer Eye Associates provides a thorough pre-operative evaluation for the LASIK laser vision correction procedure. Serving Lawrenceville, Hopewell, Hamilton and the surrounding areas. 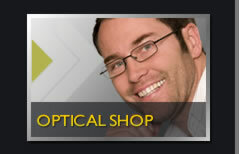 Opticians Lawrenceville - The Optical Shop at Mercer Eye Associates is professionally staffed by licensed opticians. Serving Lawrenceville, Hopewell, Hamilton and the surrounding areas. Map and directions for Mercer Eye Associates, serving Lawrenceville, Hopewell, Hamilton and the surrounding areas. 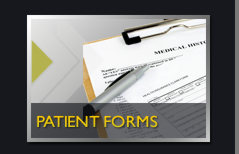 Ophthalmology Professionals Lawrenceville - Complete and submit the form to schedule an appointment with the ophthalmology professionals at Mercer Eye Associates, serving Lawrenceville, Hopewell, Hamilton and the surrounding areas.